Brazil, 1821. After a merchant's wife and newborn son die in childbirth, he remarries his wife's young niece, who quickly must navigate physical and emotional unrest beyond her years with her husband's aging slave plantation and its displaced inhabitants. 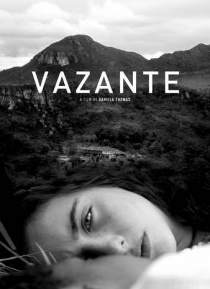 Beautiful and haunting, VAZANTE explores the fraught intersection of feminism, colonialism, and race that has persisted across centuries.